Our success was built simply by providing great customer service—treating our patients with professional medical care, compassion and respect. And that is our mission still today. In 1971, amidst a nationwide emergency regarding ambulance transportation, Acadian Ambulance was established and trained the first Emergency Medical Technicians (EMTs) in the state of Louisiana. Our two ambulances and eight employees served the 279 square miles of Lafayette Parish with an operating budget of $190,000. Returning Vietnam veterans with medic experience provided our initial source of manpower. The first membership drive enrolled 8,400 members. 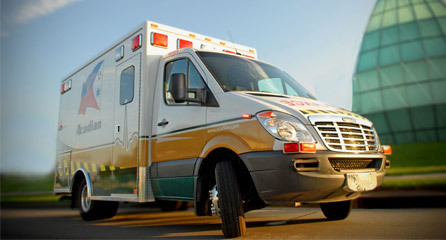 Acadian Ambulance has always been recognized as one of the nation's best in its field. 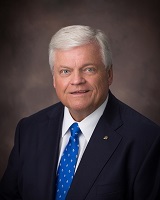 Our incorporation of the innovative technology and superior service in the medical field has earned us honors and led to our tremendous expansion. 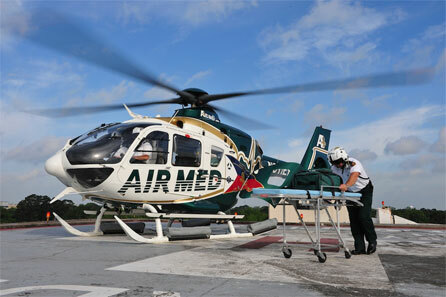 Today, Acadian operates over 550 ambulances, helicopters and fixed wing aircraft to service areas across Texas, Louisiana and Mississippi. In 2018, Acadian Ambulance celebrated our 47th anniversary, Acadian Air Med celebrates 37 years, and Acadian’s Texas operations mark 12 years. We owe much of our success over the past 47 years to our membership. Onboard computers are used to track and route all ambulances, using GPS mapping, so that the nearest unit will be dispatched immediately. In the event of a major disaster or catastrophe, the nearest and appropriate number of ground and air ambulances will be sent immediately with little disruption of operations throughout the service area. An Acadian standard of care is the use of 12-lead EKGs or heart tracings, considered the key to the pre-hospital evaluation of a heart attack. Our ability to rapidly diagnose heart attacks in the field and wirelessly transmit that EKG to waiting physicians and nurses at the hospital allows them to save precious seconds and minutes in a race to open blocked arteries in heart attack patients. The hospital staff is notified rapidly and are able to have their cath lab personnel assembled and waiting when we bring heart attack patients through their doors. For more than 10 years, our timely diagnosis and treatment have saved thousands of lives with rapid activation of cath lab personnel across all of our three-state coverage areas and in the offshore industrial environment. In life-critical situations such as shock, severe trauma and cardiac arrest, we utilize the EZ-IO device, a bone drill that rapidly establishes vascular access. This allows highly trained paramedics to administer lifesaving medications and fluids through this bone needle directly into the circulation, saving seconds that can often make the difference between life and death. We, along with other top-tier EMS services, have embraced this lifesaving technology for many years and improved outcomes in thousands of patients. Anyone can say they are the best. Accreditation makes you prove it. Acadian Ambulance Service is committed to providing the highest quality patient care, responsible business practices and unparalleled community stewardship. 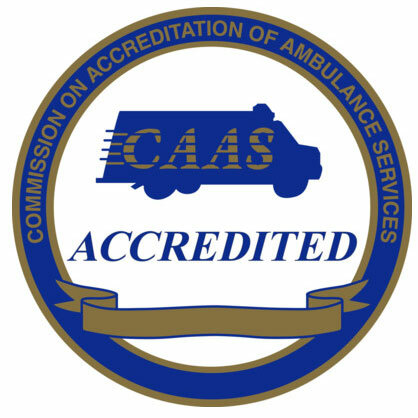 We have earned the ambulance industry's highest gold-standard seal of approval from the Commission on Accreditation of Ambulance Services (CAAS) in every market we have the privilege to serve. For accreditation and re-accreditation, we voluntarily undergo an intensive process that includes comprehensive documentation and on-site reviews by national experts in emergency medical services. It is an extremely demanding process. Of the tens of thousands of ambulances companies operating in the United States, only about 100 have earned accreditation and even fewer are accredited in every community they operate. In 2018, our Louisiana and Mississippi operations were reaccredited by CAAS, earning a perfect score with no deficiencies. In 2016, our Texas operations earned the same honor - achieving a perfect score with no deficiencies. Accreditation is among Acadian's core operating principles and you can see that reflected in our services, every day.